There’s formaldehyde in my conditioner. A pound of prevention is worth an ounce of cure, right? When it comes to my health, I try to proactively live a healthy lifestyle and avoid anything risky. That’s just common sense. These days, many people, especially those of us living with chronic illness, devote a lot of time and energy to our health and wellbeing. 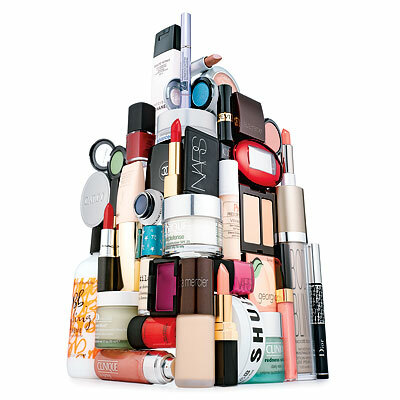 When it came to personal care products, I usually bought them in the drugstore. I used to think that government safety regulation prevented anything too harmful from being used in these products. That was before I began reading ‘There’s Lead in your Lipstick’ by Gillian Deacon. I recently developed several skin conditions, like scalp dermatitis and millia, which made me want to look for some alternatives. Then I learned that there was (is) formaldehyde in my conditioner (DMDM hydantoin). My jaw dropped open for a good 30 seconds. How is this possible? Gillian Deacon recommends looking up your personal care products on the Environmental Working Group’s Skin Deep database, a comprehensive metric of the chemical hazards in thousands of common personal care products. Drawing on multiple government, industrial and academic research databases, Skin Deep puts products on a scale of 1-10 in terms of chemical hazards, based on the ingredients. Harmful ingredients: Selenium sulfide (8), Cocamide DEA (7), Fragrance (8), DMDM hydantoin – formaldehyde releaser (7). I don’t think I can continue to douse myself in toxic chemicals! I’ll be looking up alternative products in my health food store on Skin Deep to make sure they aren’t toxic. (Be careful of greenwashing – ‘organic’ or ‘natural’ products may be misleading). Always check the label. Apparently my skin conditions may be a reaction to these products. Furthermore, my immune compromised fibromyalgia body doesn’t need any more challenges! I have been slowly getting rid of all toxins in products such as soap and clothes wash. I also find strong smells cause bad symptoms too. Oh wow! I have a draft of a post on the same topic…formaldehyde, fragrances, and other chemicals in hair products. I have allergic contact dermatitis, and I am allergic to diazolidinyl urea, which is another formaldehyde releaser. Ugh. Besides the obvious toxic effects, they’re also allergens. Lovely! Have you tried Avalon Organics fragrance-free shampoo and conditioner? I also recommend Alima Pure foundation … it does have powdered titanium dioxide, but it has a low hazard score on Skin Deep. I have Lyme disease and methylation defects so I have to detoxify my products also! It’s so shocking to realize you’ve been dousing yourself in carcinogens and allergens and all that fun stuff. It has to be worse for the CFS, FM, Lyme sufferers out there – sensitivities are already worse with those diagnoses. I’m using Aubrey organic hair products which I like. It’s great to get a recommendation for alima because I was just looking into it! Thanks for all your insights and feedback! 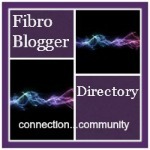 Oh, and I have fibro too … in my case the fibro may have been caused by the Lyme. I really like your blog! One more … neem oil is good for dandruff and seborrheic dermatitis. It’s best to use a tiny drop because it has a strong smell and it can cause allergic reactions … I use an organic one and I pretreat my hair before washing with olive oil and a drop of neem oil. I usually do this with a shower cap for an hour and rub my scalp through the cap. This helps break up the dandruff before shampooing. I wish I remembered where I got this information so I could give you the link. Actually, it was probably the Rosacea Forum because they have a thread on seborrheic dermatitis. Sorry for so many comments but this is a topic that’s close to my heart! Thanks so much for the tip!! My dermatitis has been acting up since I stopped using selsun and I didn’t know what to do. Tea tree oil is helpful but not to the extent I need. So true … even if you don’t have extreme sensitivities as with MCS, FM/Lyme/CFS definitely seems to increase the number of chemical and food allergies. I got a patch test from a dermatologist in 2010 and found out I was allergic to a bunch of chemicals (one of them a formaldehyde releaser), and in 2012 I got another patch test for dental materials and found out I was allergic to two dental compounds and a fragrance chemical. Ugh. I think I might get that book you are reading. The Alima stuff is great. I use their foundation and I also bought a whole bunch of their eyeshadows. I wasn’t crazy about their powder so I use Jane Iredale PureMatte. Hmm, if the tea tree oil doesn’t work I don’t know if the neem will help. I think TTO is stronger but I could be wrong.